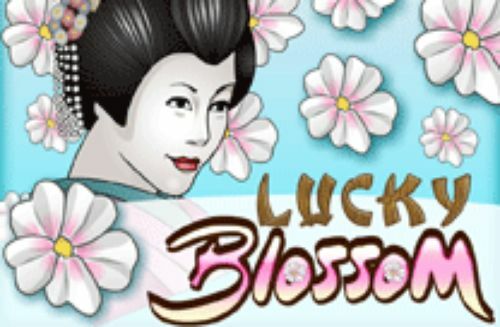 Play this Chinese luck-themed slot game for a chance to win the top-paying regular game prize of 800, or the progressive jackpot. Coin! Coin! Coin! Slot is such a game that makes the Wild symbol a holiday for your eyes, as long as it starts to linger on the reels in more than three instances - that is two shy of the progressive jackpot! 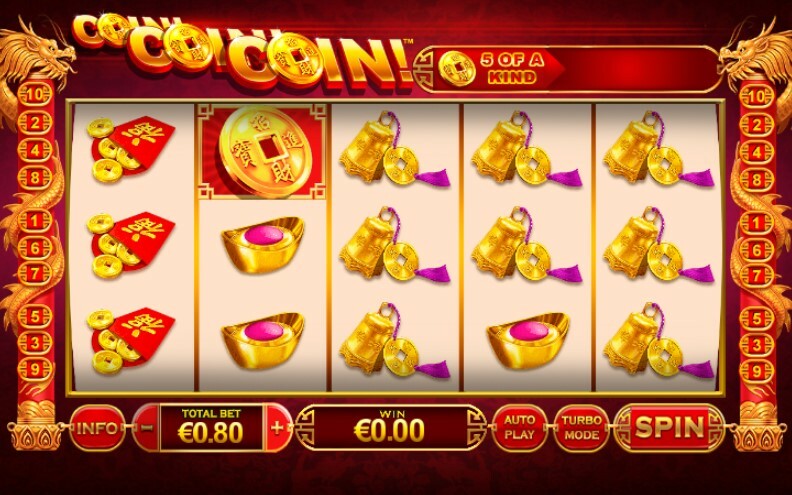 Whenever you see those deep hues of gold fused with the deep hues of red, on a reel set that has either a dragon or a paper lantern, you immediately know that the slot game at hand is one dealing with the Chinese symbols of luck. This is the theme of the Coin! Coin! Coin! slot - a five-reel, three-row reel-action machine produced by the slots experts at Playtech. Once at the reels you will find plenty of amusing symbols to keep your company while on this adventure of oriental superstition. Considering how many symbols are associated with luck, you can't help but wonder, is that the reason for the rise of China? We'll leave that to the professionals of another kind, as for the slots experts, this is a perfectly enjoyable slot that lets the reels roll in the name of those golden coins that are oh so beloved by 1.7 billion people on this planet. Yes, to some players Coin! Coin! Coin! Slot means quite a lot because this is nothing less than a PROGRESSIVE JACKPOT slot. In many ways, this game has a retro look and feel. 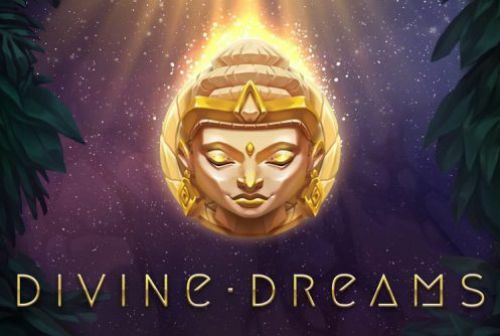 Even though it is contemporary, the reel-set offers the solid gaming action that we may associate with casino games that are less contemporaneous and ones that leave behind the pots and whistles that we associate with so many 3D games. 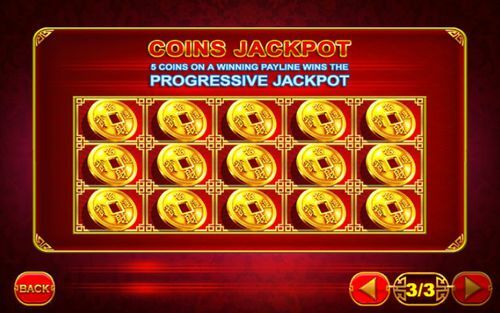 A slot game is a slot game, especially when it is also a Progressive Jackpot affair. Here we have ten fixed paylines, meaning that every bet you make will spin across all and always capture the winning instances whenever these occur. To set the amount of your wager you just need to select a value from the Total Bet window in the bottom left corner. One caveat is that this isn't your ordinary penny slot. The starting bet is a rather pricey £0.80 per spin, so each turn of the reels will cost close to a quid. That progressive jackpot has to get seeded again, doesn't it?! So we understand that the price is not a comfortable quarter of a pound that can extend your gameplay to nearly as long as you wish, but on the other hand, it will help you find out if it is the game for you right away. Furthermore, the values of the bet seem to skip by entire decimal points, so the next value following the £0.80 bet is a whole round £8.00. 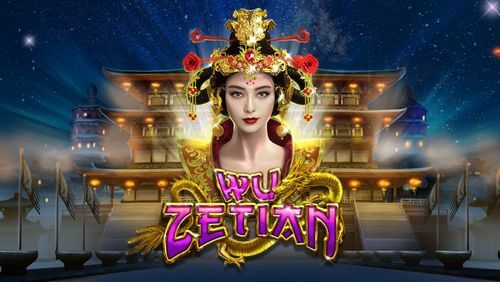 The top bet is £880.00 and we can safely say that this is one of the most expensive online slots, and one that is quite exclusive in this regard. This is a picture symbol-only slot and all of the symbols contain at least one golden piece in them. You will find a knitted ornament with a gold coin, that conspicuous white cat that adorns Chinese restaurants, the turquoise turtle that symbolises longevity and money, the red paper lantern, a red envelope with gold coins, and the highest paying base-game symbol of what seems to be a golden head piece, or something like that. The specialty symbol is a big gold coin which is the Wild. This symbol expands on the reel and helps generate bigger and better winnings but it does a lot more than that. The game has a top paying symbol of 800 when five land on a payline. There are several other symbols that pay more than 60 coins for five, but not as nearly as the 600 fetched by the golden headpiece. The cat does 250 and the turtle does 100. The most valuable symbol of the game, if it lands in a string of five, is the golden coin Wild. Five of these will trigger the game's progressive jackpot, if they land on one of the ten paylines. To play the Coin! Coin! Coin! slots you can start right on this page by claiming a welcome bonus at one of the casinos.